When I first started teaching, I could not believe how much my feet hurt at the end of the day! Honest to goodness, I was about one epsom salt bath away from throwing in the towel on fashion and wearing Reebok sneakers with skirts (if you do this, I’m sorry; I judge you). BUT – and I really don’t know if it’s because I got used to it, my feet turned into rocks, or I’m just a lot lazier and am on them a lot less now – it got better. 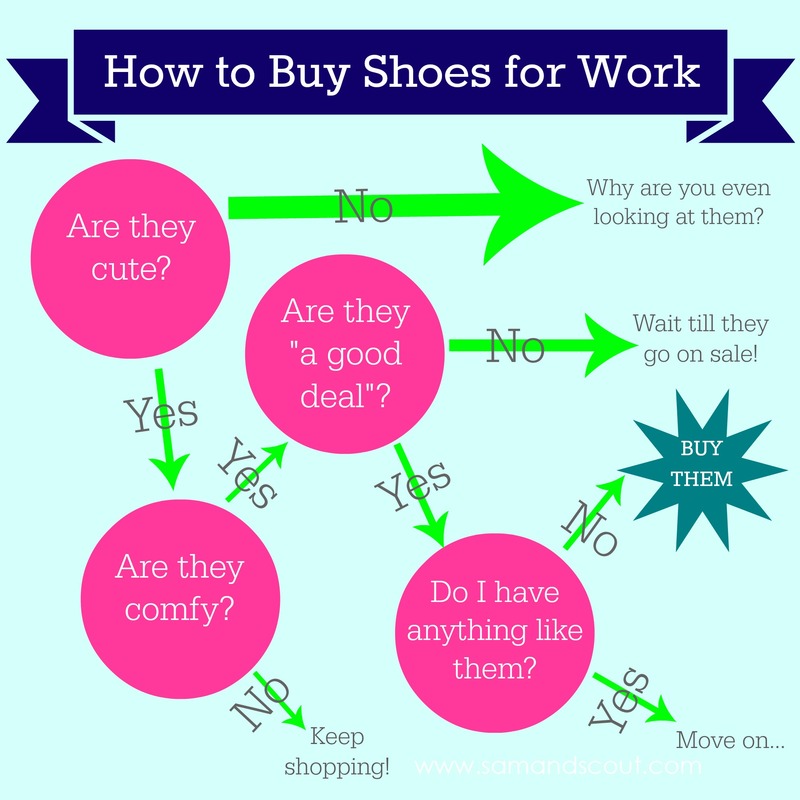 What do you look for when you’re buying shoes for work? Where do you buy them? Have a favorite pair? P.S. In case anyone is wondering, I made the above flow chart using Picmonkey.com. Yes, that’s how I spent my precious Saturday morning while Sam was at his grandparents’ house. Priorities people! This is great!!! I definitely own the Emily Sandals (#1) in black! 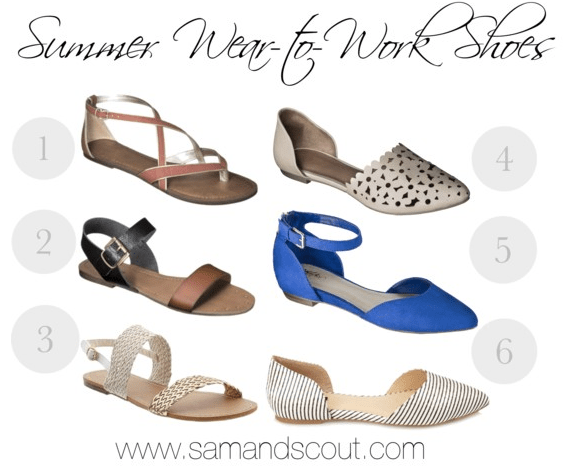 I’m wondering if #4 (the perforated two-piece flats) would be comfortable? I’m looking at that scalloped edge and wondering if that would rub my foot totally raw. Still…if they went below $20, it could be worth the gamble. I work in an engineering office and get “dressed” probably 50% of the time. I have to say, Aerosoles are crazy comfy for a heel and they aren’t all that frumpy either. Today I’m wearing cute lower heel navy blue ones and they will not hurt my feet at all by the end of the day. I still much prefer my flats but if a heel is needed, Aerosoles are the way to go! We have a Forever 21 in our mall but I don’t think I’ve ever walked in – do they sell their shoes in store or just online? #6 is super cute! Can you do a post on summer clothes too?? “Teaching Shoes” are SO important. I feel like I should teach a course on how to dress for success in the classroom. Here is the issue… I am short AND I teach middle school. That means at least 50% of my students are taller than me. I follow a strict no flats rule for the first three weeks of school to establish my superiority. Our school has a STRICT no flip flop rule, and I find that comfy cute sandals are hard to come up… I guess I will be going to Target this weekend. Thanks E! PS: Love the flow chart! E! Sorry for the delayed response! See my blog for the Bachelorette Bracket! P.S. Flats are my best friend! There is NO way I could wear heels to school every day!I love your suggestions! I totally had miserable foot pain my first few years teaching. I even went out and bought Dansko shoes and tried a bunch of other old lady support shoes. Now I just wear out and beat up Target flats at a pretty regular pace without much foot consequence. I’m rocking the Emily flats in brown at school today. We release the kids for summer at lunch today! whoo! Hi! 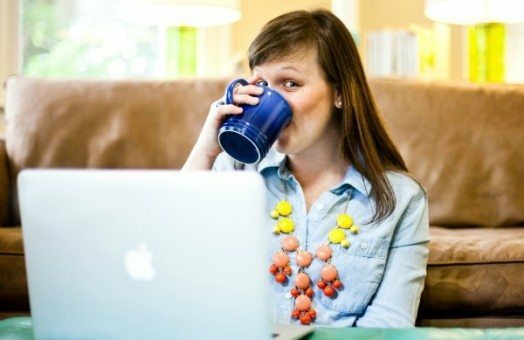 Love that this post is a practical fashion post that still involves teaching! At the beginning of my student teaching back in the fall I went out and splurged on what I considered to be a cute pair of Clarks in a low heel. I did this because everyone said they were the way to go for comfort when you are on your feet all day…NOT!!! I don’t know if it’s just this pair or if the heel is too high for true comfort, but I wore them 3 times and then spent months trying to recover from those 3 times! Ouch! Anywho…I actually saw someone post on fb about the Claire flat at Payless Shoes and I now own 2 pairs and spent the last couple of months of my student teaching in them (finally graduated a couple weeks ago…woo hoo!). I would be interested to see what you or other readers think of them!